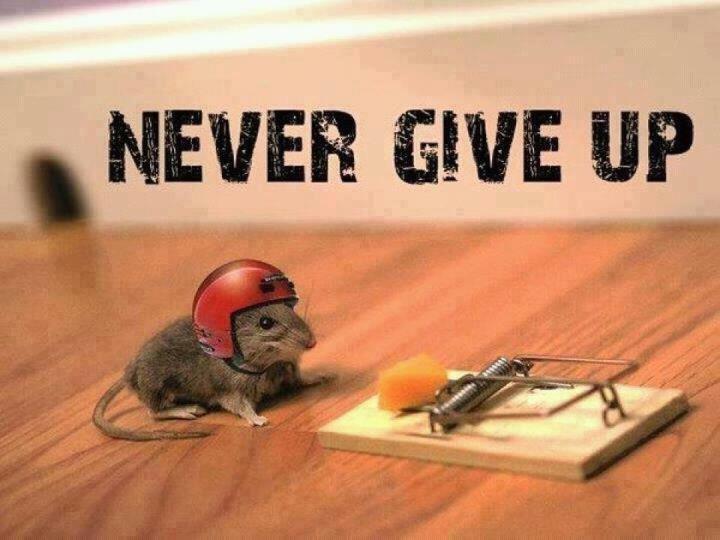 You’ve got to love the tenacity of the little mouse with a helmet in the picture above that I found as a poster on zazzle.com. But all of the tenacity in the world isn’t going to help you without a successful strategy. Succeeding at keeping any spiritual discipline can be hard. We all fall into slumps. Even the most committed people do. When your prayer time tumbles down your priority list or you get behind in a bible reading plan, giving up can feel like your only option. Don’t. Try the five proven motivational triggers in this article first. These proven strategies boost your mental energy to help you push through the messy middle of any commitment. Here are my five favorite and ultra-effective motivational triggers. Why did you take on the spiritual discipline? What is at stake? What do you hope happens? Two forms of “why” motivate you–PUSHES and PULLS. Pushes make you want to get away from how things are. For example, you might adopt a new prayer program to stop feeling disconnected from God or depressed. Pulls are benefits you hope to receive. For example, wanting to understand the bible better or have a sense of inner peace. Numerous studies reveal that just tracking progress will create greater performance. For example, when I start a bible study I create a check list of chapters and mark off each one as I complete it. Even if you don’t have a checklist, you can simply record in a prayer journal each day what you did or didn’t accomplish. I do this for all of my goals and find it highly motivational. 3) Set the stage for a great performance. Do you need anything to accomplish your discipline? If so, have it handy. I have particular spots for prayer and bible study. My bible, journal, a candle, and a set of colored pencils are set out. I am ready to go and those objects visually prompt me to have my prayer time. Even if you don’t need anything for your discipline, put encouraging notes in prominent places to remind and encourage you. 4) Have a clear plan. An old insurance adage states, “Few people plan to fail, they just fail to plan.” Poor plans are vague and general. For example “I am going to pray more this year.” Solid plans are clear and measurable, such as, “I am going to pray 15 minutes each morning before breakfast for the next six weeks using John Baillie’s, Diary of Private Prayer as a guide.” A good plan will also include a back up plan. What if you wake up late? 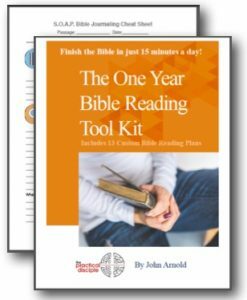 What if you misplace your prayer guide? These simply obstacles can cause you to rapidly get completely off track. Know ahead of time how you will hurdle them. 2. Create a chart, journal, checklist or other way of visibly tracking your progress. 3. Set out materials you need, designate a spot for your discipline, and/or place visible reminders in your path. 4. Describe with one or two written sentences exactly what you will do. Include where, when, what and how, you will accomplish your spiritual discipline. Decide how long you will commit to the discipline. 5. Create a list of three to five people who could be accountability partners.. Meet regularly with that group. Or, share with a good friend your intention and have that person ask you regularly how you are doing on your commitment. Even just one of these triggers can motivate you through the messy middle. I can tell you from experience that combining these triggers can make you almost unstoppable in staying committed. Lastly, experiment. Even if you are the most undisciplined person, you can stick to a new spiritual discipline if you just have a good plan and a few supportive triggers.